It’s the late 1980s. The old Wartburg 353, albeit slightly revised in 1975, is still almost the same as it was over 20 years ago, with the engine originating from 1940. Exporting the Wartburg to important foreign markets, such as the UK, has been prohibited since it doesn’t match the modern emission regulations. A new engine is badly needed. Interestingly enough, AWE (Eisenach motor factory) has already developed a new engine in 1972, the AWE 1600. It was a 1.6 litre 4-cylinder 4-stroke engine producing 82 bhp, that could have even been retrofitted to existing Wartburgs without many changes. The production of this engine has been prohibited for no reason by the Central Committee and not a single working engine has ever been produced. 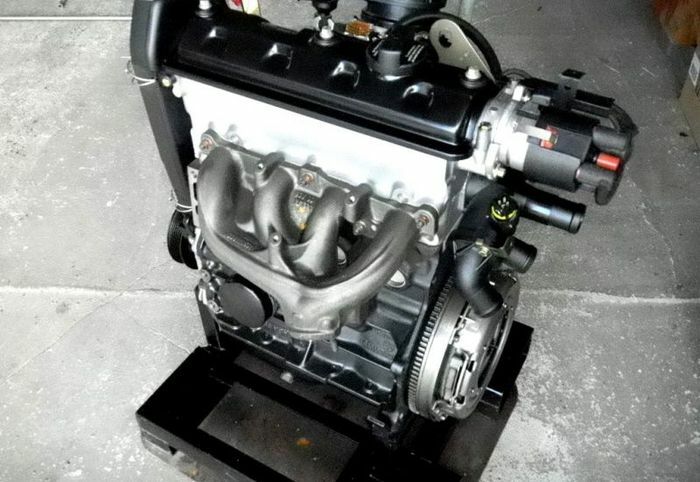 The engine that was chosen to replace the old three-cylinder two-stroke engine came from Volkswagen. It was a 1.3 litre four-cylinder four-stroke engine producing 64 bhp from a VW Polo II. It is not known why the domestically developed 1.6 litre AWE engine wasn’t used. 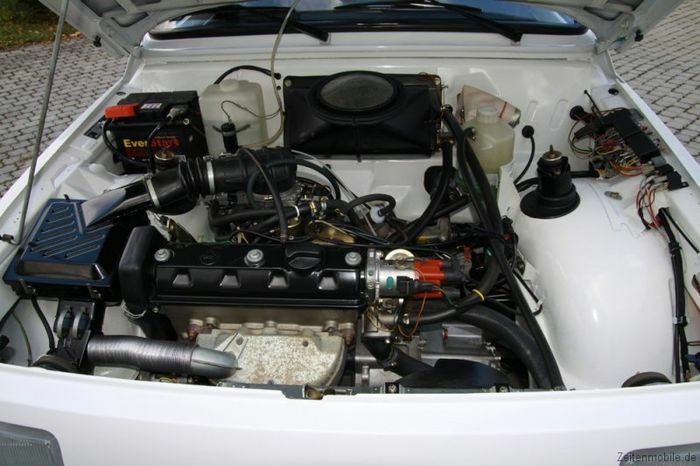 The VW engine, although having smaller displacement than the AWE engine, could not be fitted that easily into the Wartburg engine bay. The Wartburg 353’s engine was longitudinally mounted, but this wasn’t possible with the VW engine anymore. It was required to mount the engine transversely. This decision obviously wasn’t a delight for the engineers. The whole part in front of the A-pillar needed to be changed. So, even though it looked almost exactly the same as the 353, the Wartburg 1.3 was essentially a completely different car. When the car was finally production-ready, it wasn’t a bad car at all. The interior was spacious as ever before, the comfort was nice and the ludicrous body roll of the 353 could be tempered. The engine had a much better elasticity values despite having less torque than the two-stroke engine. Top speed were 141 curbed km/h. Without the curbing, top speeds of almost 160 km/h could be achieved, but this was neither safe nor very pleasant. Let’s start with the good things first. The car was not bad at all. It drove much nicer than it looked. It really was a contemporary result. Thanks to matching the new emission regulations, it could be exported again. The demand in the domestic market was accordingly huge. Everything looked fine. Well, it wasn’t that good actually. 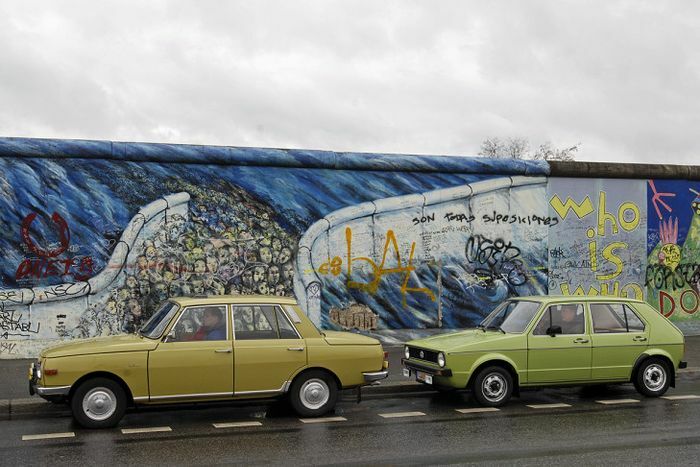 The whole thing costed a ludicrous amount of 9 billion GDR-Mark, considerably more than Volkswagen and the Central Committee originally projected. The 1.6 litre own development would just have been half that number to be fully production ready. To cover these unexpected costs, the price of the car need to be slightly higher than the 353. Over 30000 GDR-Mark per unit, to be more precise. A Wartburg 353 was sold a year ago at just 20000 GDR-Mark. An imported Citroen GSA, better equipped and more modern, was about the same price as a Wartburg 1.3, but since these import cars were very rare, the order books in Eisenach always were filled. People had to wait several years for a car nonetheless. Although the car was quite expensive, it still sold very well and the Eisenach motor factory had high hopes for the future. But everything changed two years later. On the 3rd October 1990, to be more precise, when Germany was reunited again. Cheap used BMWs and VWs from the west were now avialable freely. The Wartburg, although a very desirable car in the former GDR, was now impossible to sell. 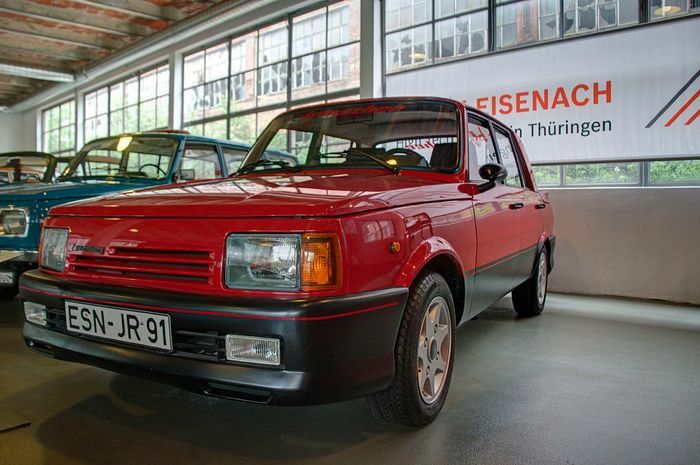 The last attempt to make the Wartburg’s sales better was by asking a West-German tuning company. Ironically, this wasn’t a Volkswagen tuner but the company Irmscher, famous for tuning Opel from time immemorial. The “new” car was named Wartburg New Line. It had new bumpers all around, new alloy wheels, a spoiler and lowering springs. The car was presented in 1990 and earned alot of applause, but only very few people were ready to pay actual money for it. The projected quantity of 5000 units was not reached, not even closely. The first two prototypes eventually were the last two units produced. 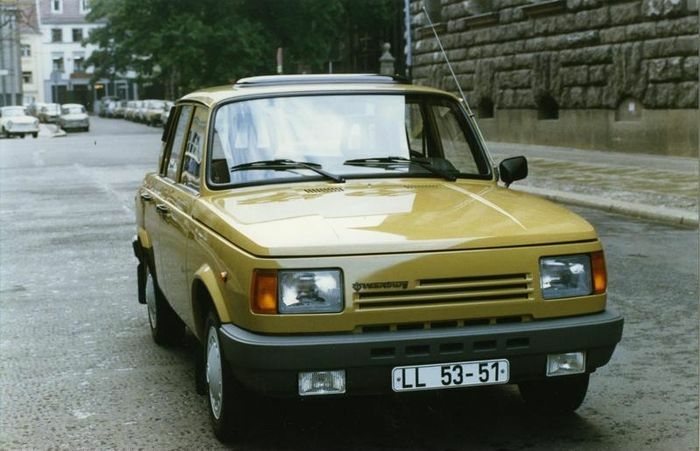 Production of the Wartburg definitely ended on 10th April 1991 after 150000 1.3 models were built.